Was at a customer's today. 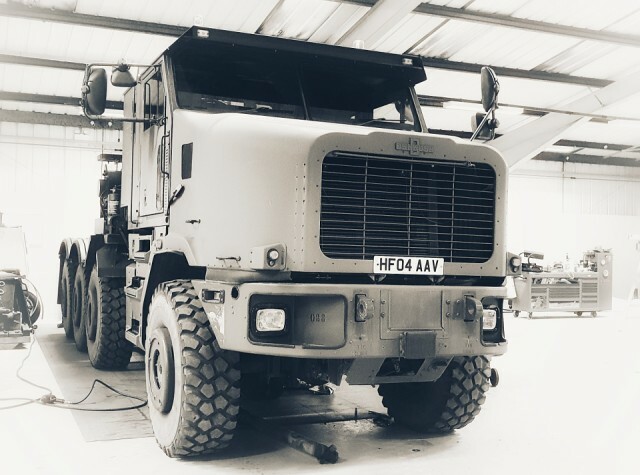 As well as fixing regular cars they have a contract to fix these Forces Tractor Units which are used in places like Afganistan. Impressive machines, and giant in scale, they arrive when they have sometimes been blown up and then they are put back together here, slowly. The US Army have over 5000 of these, currently parked up in storage.